Support for restoring the world’s deforested and degraded landscapes is growing rapidly. A 2014 report (PDF) by the New Climate Economy noted that restoring just 12 percent of degraded agricultural land in the world could feed 200 million more people by 2030, while providing environmental benefits. Thirty-one countries have made commitments through the Bonn Challenge, a global initiative to restore 371 million acres of degraded land by 2020 and 865 million acres by 2030. New regional restoration initiatives have emerged in Africa and Latin America and the Caribbean. So with all this political momentum, where’s the money? The City of Sydney has slammed the Australian Energy Market Commission’s decision to dismiss a rule change request designed to incentivise local energy generation and sharing, which was put forward by the City, Property Council and Total Environment Centre. Sydney Lord Mayor Clover Moore said she was “dumbfounded” by the AEMC response to completely dismiss the rule change on the basis of costs, particularly as modelling from the University of Technology Sydney’s Institute of Sustainable Futures showed a similar proposal could save more than $1 billion by 2050. Malcolm Turnbull has signalled Australia will not seek to withdraw from the Paris climate agreement even if the US president-elect, Donald Trump, follows through on his threat to cancel the emissions reductions commitments made by Barack Obama last December. Turnbull on Thursday confirmed Australia had ratified the Paris agreement despite domestic opposition from the One Nation party, a critical Senate bloc for the government, and persistent climate change scepticism roiling within Coalition ranks. 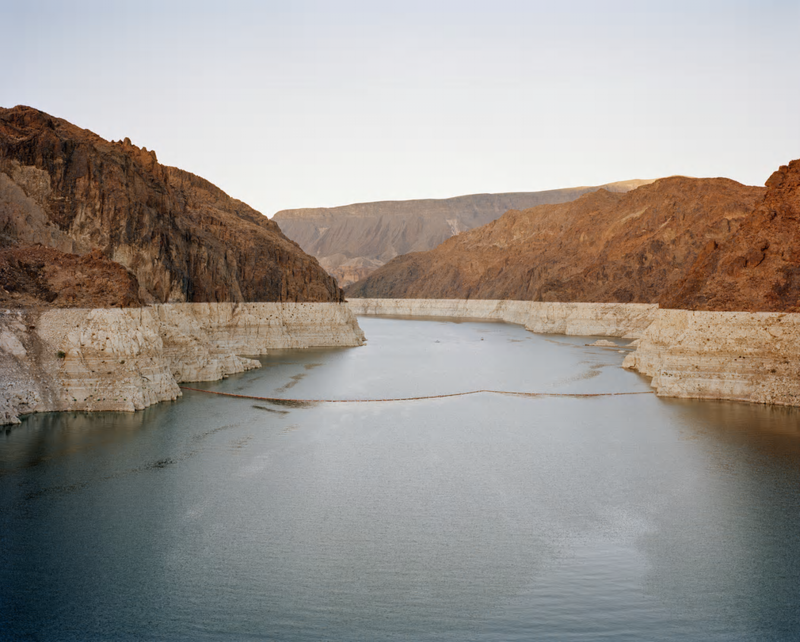 Mustafah Abdulaziz has spent years documenting humanity’s relationship to a precious natural resource – water. His latest work focuses on the challenges facing California, a highly populated state and a major agricultural center. Water: California was the first prize winner in the Syngenta photography award professional commission category for 2014–15. Australia’s iconic Great Barrier Reef has suffered through the worst bleaching event in its history, part of the world’s third mass bleaching event. However, coral reefs from the other side of the continent have also experienced unprecedented bleaching and coral death. This is bad news because the unique coral reefs of Western Australia’s northwest are home to some of the toughest coral in the world. Laser scanning in Borneo has revealed 50 trees that break previous records. The giants are about as tall as five sperm whales stacked end to end. Earlier this year a team of researchers led by David Coomes of Cambridge University made headlines with their announcement of the tallest tropical tree measuring 89.5 meters (293.6 feet) in Maliau Basin, a protected reserve managed by the Sabah Forestry Department. However, concurrent laser scanning in May 2016 across a broad swath of Sabah’s forests conducted by Asner shows that one behemoth tree on a hillside in Danum Valley, another protected reserve, measures 94.1 meters (308.7 feet), surpassing the Maliau specimen for the honor of the world’s tallest tropical tree. Will America’s Turtles Be Eaten Into Extinction? During the past few decades freshwater turtle species in the U.S., where Southeastern states hold some of the world’s highest concentrations, have been making up the Chinese shortfall. This appetite for turtle has exacerbated the effects of U.S. demand for pet turtles and turtle meat, as well as habitat loss in parts of their range. In recent years turtle-rich states such as Florida and Texas have banned or restricted their capture, fearing that overcollection could lead to the collapse of wild populations. Louisiana, however, still allows almost unfettered collection of its turtles. 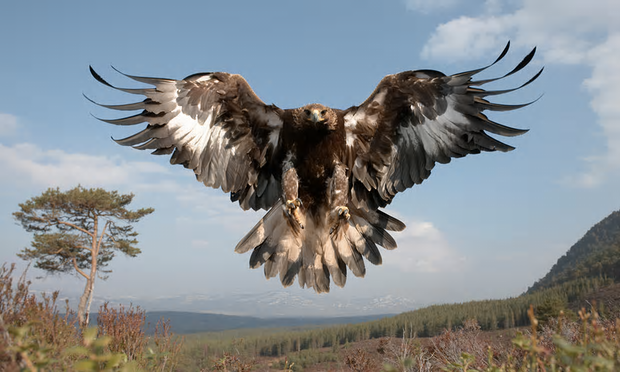 Britain’s golden eagle population has soared to new heights, according to a new survey released on Wednesday. There are now more than 500 breeding pairs in the UK, up 15% and passing the threshold at which bird’s long-term future is thought viable. It is an unlikely alliance between two animals from different parts of the world. The endangered eastern barred bandicoot, a solitary nocturnal animal extinct in mainland Australia’s wild; and the shaggy white-blonde maremmas, an ancient Italian breed of guardian dogs. The dogs are in the front line of a last-ditch effort to ensure a future for the tiny marsupial. NEW ZEALAND – A funding boost of $1.87 million will help tackle wilding conifers in central Canterbury, says Primary Industries Minister Nathan Guy. The additional funding will be used to control the spread of wildings with an extra $1.6m-plus set aside for the Craigieburn area and $227,000 and Porters to protect nearby Arthur’s Pass National Park. “Both of these areas are under threat from the spread of wilding conifers which infest farmland and natural wilderness areas,” said Guy, who made the funding announcement at the Canterbury A&P show on Thursday. Wilding pines cover more than 1.8 million hectares of South Island high country and are advancing at a rate of 5 per cent a year, Guy said. Toyota will begin mass production of electric vehicles by 2020, in time for the 2020 Tokyo Olympics, according to a report from the Nikkei Asian Review. Notably, Toyota will be a major sponsor of the 2020 Summer Olympics. While the source isn’t named, the timeline would match up pretty well with recent company statements about having “tamed” lithium-ion battery technology. The shares of companies in the renewable energy business plunged Wednesday after Donald J. Trump’s victory, and shares of coal companies soared on anticipation the president-elect would make good on vows to revive the industry’s fortunes. The shares of the nation’s largest maker of solar panels, First Solar, fell 6.5 percent by 10:30 a.m, and shares of one of the world’s largest manufacturers of wind turbines, Vestas Wind Systems, dropped about 10 percent. SunPower stock slid about 18 percent. By contrast, the shares of Peabody Energy, the nation’s largest coal company, now in bankruptcy proceedings, jumped more than 50 percent. Could bio-toilets solve India’s sanitation problems and save the Yamuna river? Can massive amounts of human excrement be transformed and used to tackle waste management challenges? India is currently addressing this issue by channeling it into into composting systems through the use of Biodigester toilets (also known as bio-toilets). Millions of pounds of climate change aid to Bangladesh has been returned unspent to the British government following a long-running dispute over its delivery. Academics and climate change experts claim the return of £13m to the Department for International Development (DfID) over the past year, through the World Bank, represents a failure by the UK to recognise Bangladesh – one of the world’s most climate-vulnerable countries – as an expert on the issue. Environmental lawyers ClientEarth inflicted a humiliating legal defeat on ministers last week – its second in 18 months – when the high court ruled that ministers’ plans to tackle illegal levels of air pollution in many UK cities and towns were unlawfully poor. The court gave the parties seven days to agree on the next steps, but the government rejected the proposal from ClientEarth. The case will now return to court at a future date when the judge will determine what happens next. The nation that divided Tuesday to choose Republican Donald J. Trump as its next President-elect — despite conferring the popular vote on his Democratic rival Hillary Clinton — sent mixed signals about key climate-related measures on Tuesday’s ballots. For starters, two closely watched proposals from two very different parts of the country were defeated. AUSTRALIA – This will be hard. Very hard. After the dreadful horror of the Abbott years in Australia, after the excruciatingly hard won Paris agreement reached last year, and after it’s become clear that global warming is accelerating faster than we thought, the biggest and still most powerful nation on the planet has elected a climate denier as president and a man who promises to restore the fossil fuel industry in the US to full capacity. To support cities in climate sustainability, the Cities and Climate Change Initiative (CCCI) from U.N. Habitat collaborated with other agencies to develop the report “Guiding Principles for City Climate Action Planning.” The initiative announced these principles at COP21 on Dec. 4, 2015. For cities, climate has to be addressed hand-in-hand with other topics such as energy use and economic development. Therefore, the report recommends evidence-based cross-sector collaboration at an unprecedented level. It also advises cities to combine planning for mitigation and adaptation. There’s a view that old buildings can’t perform. Rialto shows it’s that thinking that’s outdated. In this building, good bones means age is no impediment to making a building commercially and environmentally sustainable. Here’s how. The Upper Mustang, once an isolated and remote kingdom on the edge of Nepal, is where many people believe the Buddhist monk Guru Rinpoche chased a demon deep into the flanks of the mountains. The demon was cut into pieces, defining the landscape and lush surroundings. In locals prayers and myths, demons and deities often incarnate the environment, making the mountains more lively and precious to locals. But no matter what they mean to their residents, remote mountain regions like the Upper Mustang are often neglected by the rest of the world. This is surprising because mountain regions, especially in the developing world, play a very important role in the provision of water supply as well as energy (in the form of hydropower) for growing cities and agriculture. INDIA – After several years of severe drought in a region already heavily reliant on groundwater, water reserves are in decline and fodder for cows is becoming more expensive. This is making dairy production increasingly difficult in one of the highest milk-producing states in the country – itself the world’s largest national producer of dairy. NEW ZEALAND – A good lambing and regular rain is good news for North Canterbury farmers who’ve suffered record-setting drought for two years, but with soil-moisture levels beneath the surface still very low they’re not celebrating yet. “We are looking very green and we’re getting reasonable spring growth but there’s an uneasy feeling because we know the subsoil is quite dry. And if we get days of nor’west we could be back to where we were,” says Scargill farmer Andy Fox.